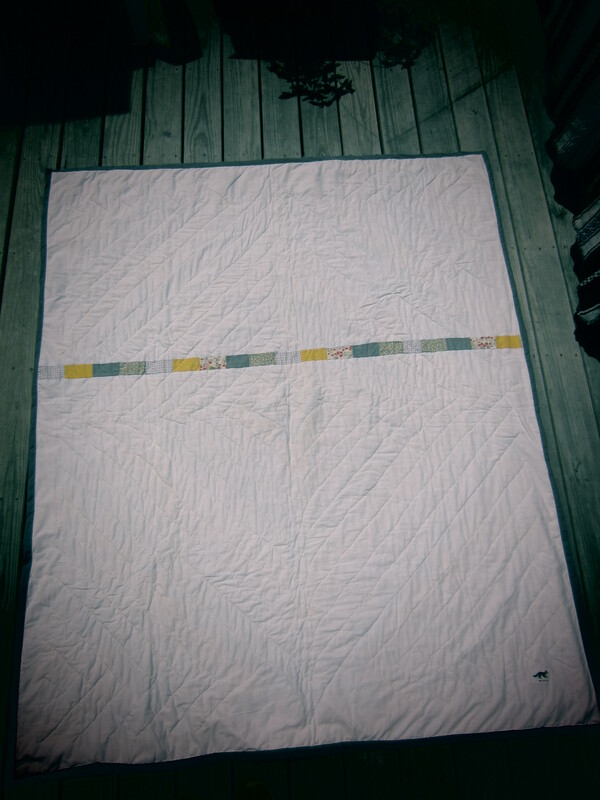 I started this Around the World-style quilt in February. 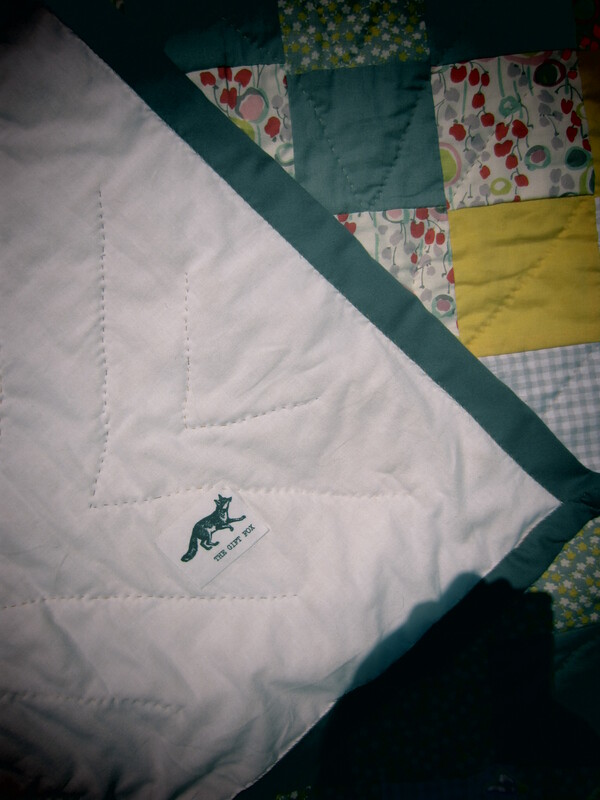 My machine broke mid-quilt-top, and so production on this quilt came to a standstill. 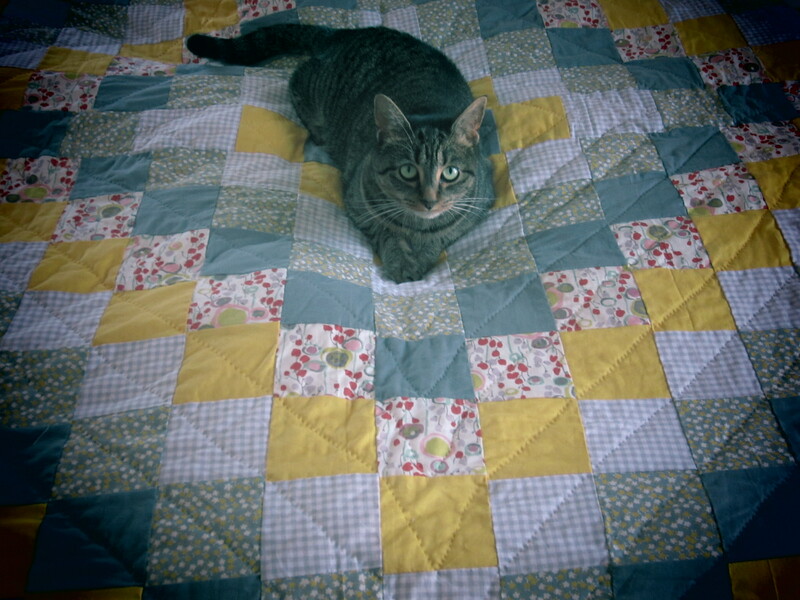 Then I moved to Kittery, Maine, got my machine fixed, unpacked unpacked unpacked, and finally, it’s August, and the quilt is fully completed! I was so happy to mail this beauty to my cousin, Natalie who just had a baby boy a few weeks ago. 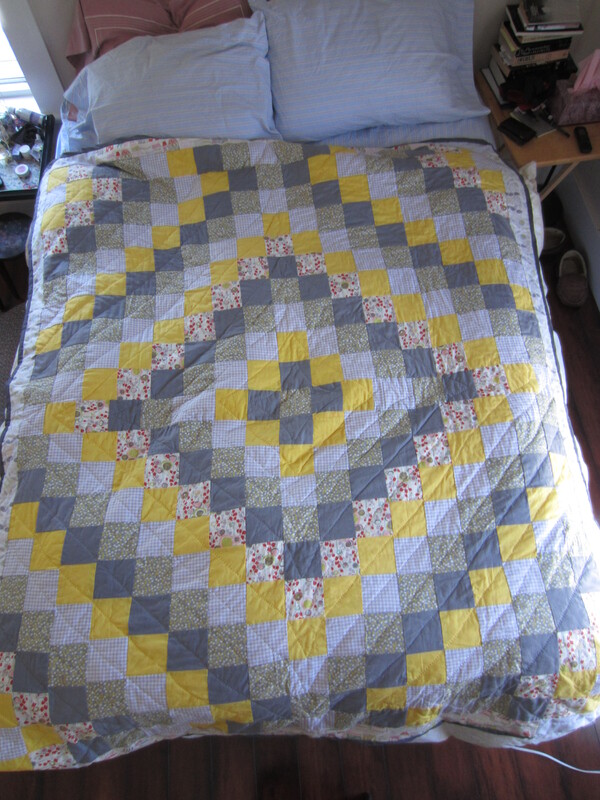 Don’t you love when your quilts find their forever home?